One of my favourite things about being a script editor for movies is having to ‘bone up’ (arf) on subjects I otherwise have little or even no knowledge of, in order to help writers. Just recently I’ve had to do a chunk of research on online gambling for a writer/director, which has been quite the eye-opener! The online gambling industry is always looking to attract new clients, and I’ve noticed they clearly target movie fans. In addition to ‘classic’ casino games, casino sites offer online slots games that include characters from popular films like Gladiator and The Mummy. I’ve even seen a game modelled around Jim Carrey movie Ace Ventura: Pet Detective! The UK online gambling market was pegged at £2.28 billion in 2012? That’s over £1 billion more than 2008, just four years’ earlier. It’s estimated 11% of the British public have taken part in online gambling at some point. 57% of online gamblers in the United States are female. (Less surprising is that online gamblers tend to be young, with well over 40% ranging in age from 21-34). Australia is TOTALLY into online gambling! Apparently the average Australian spends more money on gambling than in any other nation – over $1,200 per adult each year. It’s also thought 80% of Australian adults are said to be gamblers, which is also the highest rate in the world. The above is just for starters. I swear the internet is MADE for writers (and their helpers, like moi). Amazingly, despite the plethora of movies set IN casinos, I could only find this one about online gambling. But never mind: I’m totally OBSESSED with veteran screenwriter Brian Koppelmann’s Six Second Screenwriting Lessons, plus I loved Michael Clayton … Add to that Ben Affleck and Justin Timberlake and *obviously* I’m going to be all over THIS film! 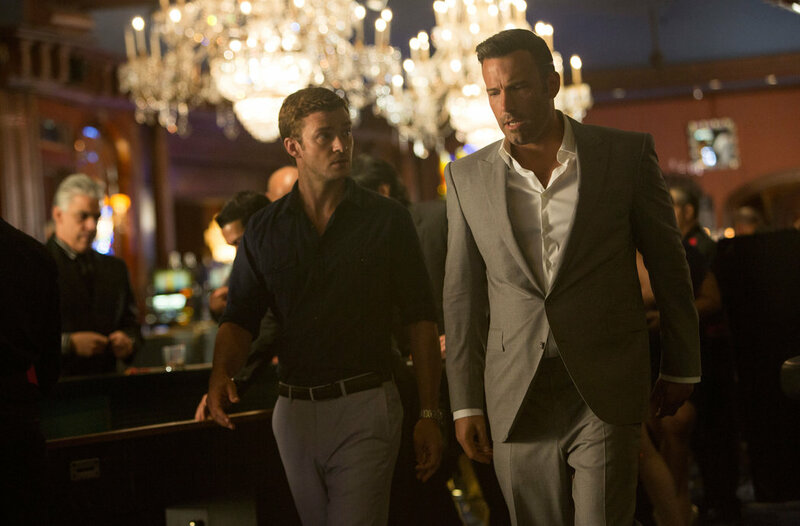 In RUNNER, RUNNER, Richie is a university student who pays for fees and expenses with online gambling, loses it all. So he travels to Costa Rica to confront the online mastermind, Ivan, whom he believes has swindled him. But Ivan sees a kindred spirit in Richie and brings the younger man into his operation. When the stakes get incredibly high and dangerous and Richie comes to fully understand the deviousness of his new boss, he tries to turn the tables on him. Whilst not in the same league as Michael Clayton, this is definitely worth a watch. We’ve all heard tales of teen prodigies taking advantage of the ‘dotcom bubble’ and this is one of them. Daniel Tzvetkoff was just another Aussie teenager, but when he worked out a new method of payment processing he called Intabill, the online poker companies came running to him for help so they could grow their businesses. A rags to riches tale, Tzvetkoff was soon living the American dream, raking in $3 million a week and revelling in a jet-set lifestyle of fast cars, luxury yachts and VIP nightclubs. But of course he couldn’t keep it going. Owing millions to the poker companies, and with the FBI hot on his trail, Intabill collapsed and the boy wonder ended up owing millions. Billed as a guide that “exposes information the bookmakers would rather punters don’t know and the strategy I have used for three years with 80% positive outcome”, it’s just 12 pages long, meaning it’s a good lunch break read. It gives a clear background on the types of sports betting, plus various strategy the author has tried and failed. A good guide for rank beginners (like me!). The story of John Lefebvre, the man behind NetTeller, a tiny Canadian internet start-up that processed payments between players and online gambling arenas. When the company rocketed through the stock market, 50 year old Lefebvre became a multi millionaire, practically overnight. Then the FBI came knocking and of course, it all started to fall down!! Then then-fledgling online gambling sector led to U.S. charges of possible money laundering, courts ordered Lefebvre to repay $185 million. YIKES! Written by the same author as bestselling The Accidental Billionaires (you’ll know it as THE SOCIAL NETWORK by script God Aaron Sorkin), Straight Flush is the true story of a group of university students who turned a weekly poker game in the basement of a local bar into one of the largest online poker companies in the world. Apparently these guys were shady from the off, embracing a hedonistic lifestyle of girls, drugs and money to becoming some of the richest people in the world. It was not always clear if what they were doing was strictly legal, especially as they engaged in all-out wars against their competitors. Nowadays, one is in prison and another is living life on the run – wow! This was my favourite read by far and a quick look at Mezrich’s Wikipedia page shows he is an expert in writing these kind of exposes on money, betrayal and the twisted geniuses who are prepared to take BIG RISKS. In fact, I can’t quite believe we haven’t seen Straight Flush as a movie yet, but then it was only published in 2013 so I bet it’s in development *somewhere*. It’s not really surprising that gambling, casinos and risk-taking are popular subjects and backdrops for movies and books – stakes and jeopardy are part of creative writing and it’s never more obvious in the gambling world. That said, writers can tell a story convincingly about JUST ABOUT ANYTHING … as long as they remember that all important notion of stakes, as it’s this that draws the reader (and thus audience), IN. But writers simply *can’t* understand what the stakes of a story mean without doing adequate research. It’s like feeling your way in the dark, which inevitably means a writer will fall back on samey stories, tired tropes and familiar clichés. So, rather than diving straight into your draft, really think about your story at foundation level – and check out the stories that are LIKE yours, because I can guarantee there will be some. I can write. My biggest concern, however, is: How to Research? Then once you have the information, do you simply spin into your own words? Isn’t that plagiarism? The definition of ‘plagiarism’ is ‘the practice of taking someone else’s work or ideas and passing them off as one’s own’. This means this only becomes a problem if you pretend what you’re researching/writing about is your own individual work. As long as you either attribute whose work it is (in non-fiction) and/or use multiple sources to come up with something new (in fiction), then you’re golden. Hope this helps.